You are sitting in your car, stopped at a traffic light. Suddenly, a vehicle rear ends your car. The impact isn’t hard although it is unexpected. 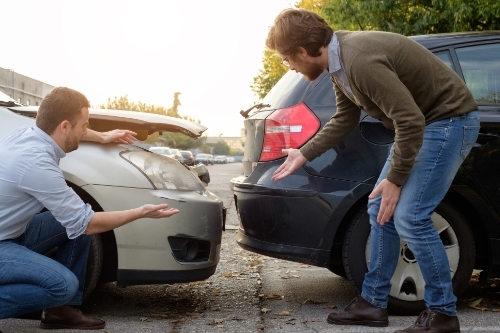 You take a look at your car and see that there is minor damage, or no damage at all, to either vehicle. The bumpers absorbed the bulk of the energy from the crash so they essentially protected the car. You feel a little pain in your neck and upper back, perhaps a little dizzy or you have a headache, but you shrug it off, reasoning that it is from the unexpected jolt. After all, they didn’t hit you that hard. You exchange information with the other driver and go on your way. The next morning is a different story. Your neck is painful and stiff. You have pain in your shoulders and back as well. A visit to the doctor reveals a diagnosis of whiplash. Some people will tell you that whiplash is a made-up injury that people use to get more money in a settlement stemming from an accident. They do not believe it is possible in a low speed rear end accident and see it as a legitimate injury claim, mainly because there are no visible marks. Some insurance experts claim that about a third of whiplash cases are fraudulent but that leaves two-thirds of the cases legitimate. There is also a great deal of research that supports the claim that low speed accidents can indeed cause whiplash – and it is very, very real. 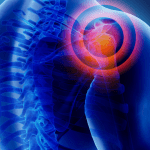 Some patients suffer from the pain and immobility the rest of their lives. When a person is sitting in their vehicle they are usually upright with their head directly over their shoulders, and the neck as the support. The key to whiplash is that it is unexpected. When the vehicle is struck, the torso of the person in the first car is thrust forward. However, the head does not immediately follow but instead falls backwards, behind the torso for a split second. In this position the neck is hyperextended for the first time (to the rear). As the torso snaps back against the back of the seat, the person’s head falls forward but is quickly yanked back as it follows the movement of the torso – then passes it. This is the second time the neck is hyperextended (to the front). The effects of this movement that lasts only a few seconds can cause debilitating pain and immobility. It is compounded when the headrests are set too far back and are too low so that they do not provide adequate support. If you are in an accident, especially if you are rear ended, and experience whiplash, see a doctor that day – even if you don’t feel much pain. The sooner you get in to a doctor, the sooner you can begin treatment should a problem develop. Often, people with whiplash don’t experience any effects until a day, or even two, later. The key is to stay ahead of the pain and take measures sooner rather than later to relieve it and keep it at bay. It also provides documentation should other issues arise and you need the information for legal purposes. 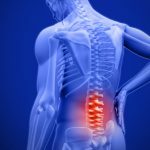 Seeing your Friendswood chiropractor soon after your accident can help you heal faster and manage your pain more effectively. 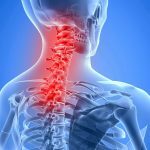 With techniques like gentle manipulation and deep tissue massage, your neck can begin to heal almost immediately. Then you can get back to life a lot faster.